Firebug is probably one of the most helpful tools used when developing websites. working inside browser, no need to switch apps. It also has another feature, which is extendibility with help of Firefox add-ons. YSlow is a Firebug add-on for analyzing web pages and getting suggestions on ways to improve the performance (parallel with the rules for high performance web pages). Whether it?s your portfolio, a blog, a marketing web site, or a collection of games, we all want to attract visitors to our website and to ensure that they have a pleasant experience. ?Usability is a quality attribute that assesses how easy user interfaces are to use. The word ?usability? also refers to methods for improving ease?of?use during the design process.? In this article I hope to give you some form of a usability checklist, covering topics from form design to simple navigation tips that you can apply to any Web project. Letting the user know what section of the site they?re in, or what category they?re navigating through can be give a huge usability boost to any site. 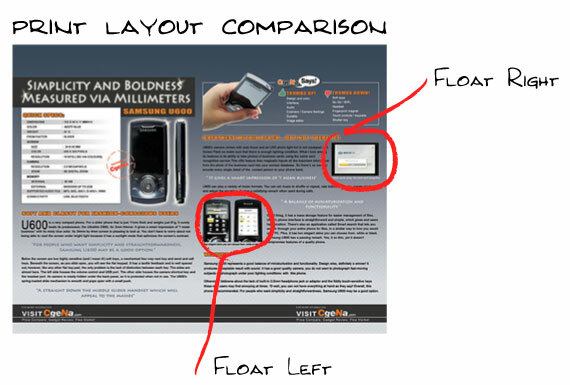 Active navigation is one of those usability concepts that are almost automatic at this point. And we all have our own way of creating it. The ideal situation for creating active navigation is to do it server-side, because it massively cuts down on the amount of HTML and CSS needed. If generating an active state server-side isn?t an option, manipulating your body element to style each navigation element directly is also a fine choice. Your active navigation state should always be different from your hover state. Good practice about Float, best for designers and developers. HTML entities (character references) which are used to define reserved characters or to express characters that cannot easily be entered with the keyboard are generally hard to remember. EntityCode is a website that lists HTML entities in an easy-to-find format. Rather than a long list of entities, they are simply grouped like currency, math, direction, etc. A must-bookmark for every web designer & developer.